Maybe it's just semantics but we didn't see a more stark contrast in presentation this week in terms of how you talk about your team to the media than Art Briles vs. Charlie Weis. Let's Compare. Now I realize that Baylor is up and coming with a new stadium, glossy new uniforms, and swagger to spare, but listen to great, I mean great, college football coaches and you hear equal parts advocate and saleman. Great college coaches are always selling. In the words of Alec Baldwin in Glengarry Glen Ross, "Always be closing." Everyone is watching. Do you want to be part of a sinking ship or a sailing ship. Briles has run this pitch from day one at Baylor. Get on board, we're going, if not we'll leave you behind. Weis on the other hand has the worst team in the Big 12, but that doesn't mean he can't sell it differently or better. If you were a player in the weight room in Lawrence watching Weis's performance on Monday would you be inspired to go a little harder, lift a little more weight? Probably not. You're a pile a crap. You deserve what you get. I'll guarantee one thing, after this week more kids want to go to/work harder at Baylor then kids that have added Kansas to their radar. Oh and I believe we had this. 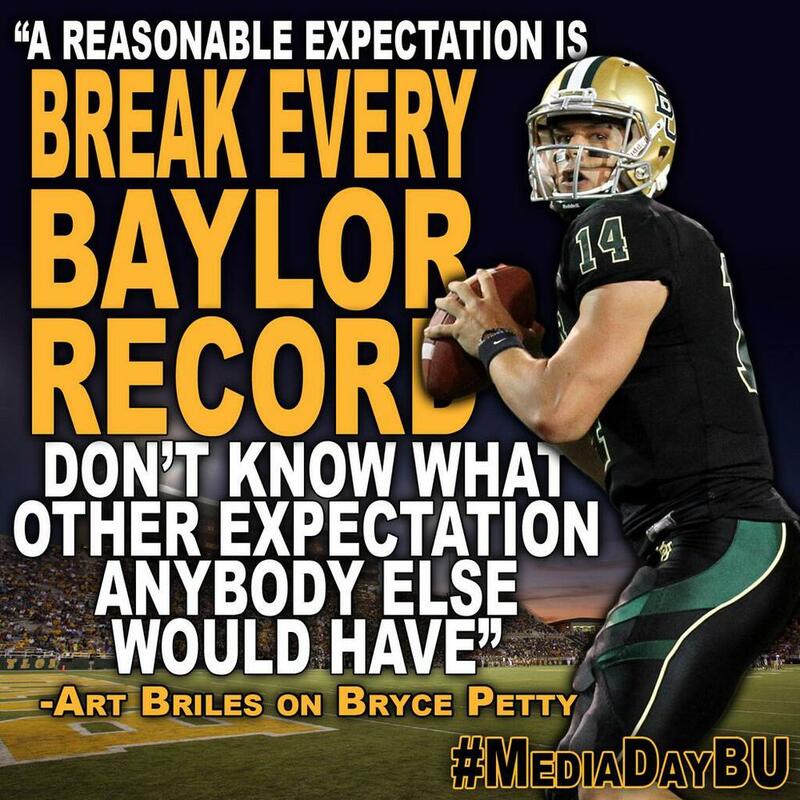 Posted on July 24, 2013 by The Roundup and filed under Sports and tagged Big 12 Art Briles Charlie Weis Kansas Baylor.